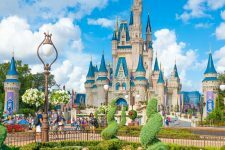 Brunet Canada has teamed up with the American travel agency Destination Attractions Orlando, and they are inviting you to participate in their competition. To participate, it’s very easy. All you need to do is click on the “Click to Offer” button located above this offer to access the competition website. Then, follow the outlined instructions there. Make sure you enter before February 06, 2019.